I’m way overdue for a midsummer’s update! I thought I’d pop on here to give a quick rundown of what’s been happening in my creative world. I’ve been continuing my improv curve experiments that I wrote about in my last post. I’ve tried one that’s just navy with shades of white to a very different effect. I’m finishing up the hand stitching on my massively time-consuming art quilt this week. I’m so excited to be moving closer and closer to a finish on this one. 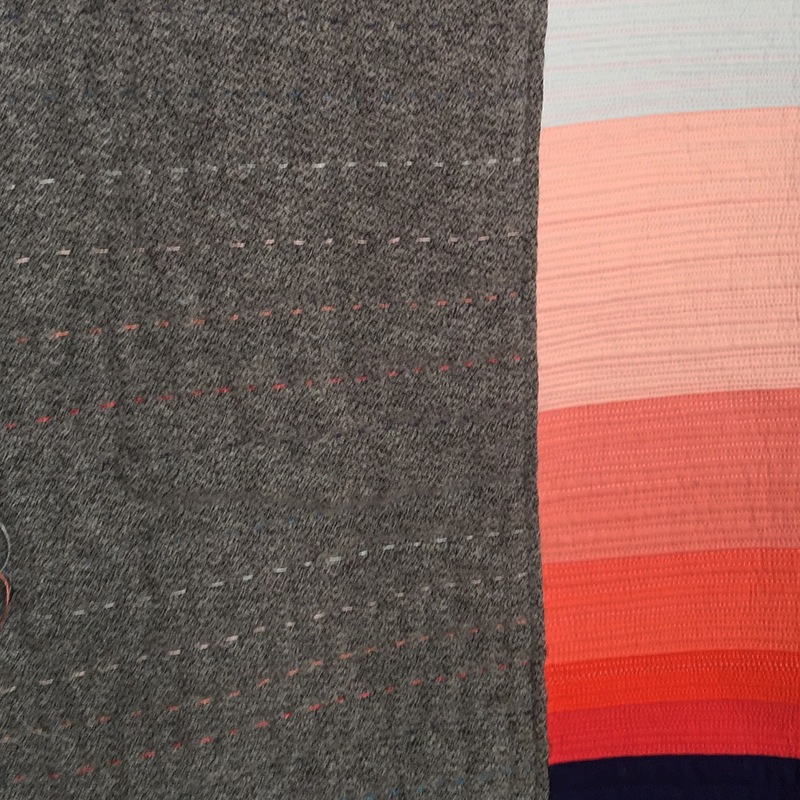 I’m also working on a quick patchwork throw that is a sample for some gorgeous new basics from Cloud9 Fabrics, Checks Please (little checks) and Window Dressing (bigger grid). After hand stitching inches at a time, making a top in two hours felt like I was using some kind of time-bending magic. 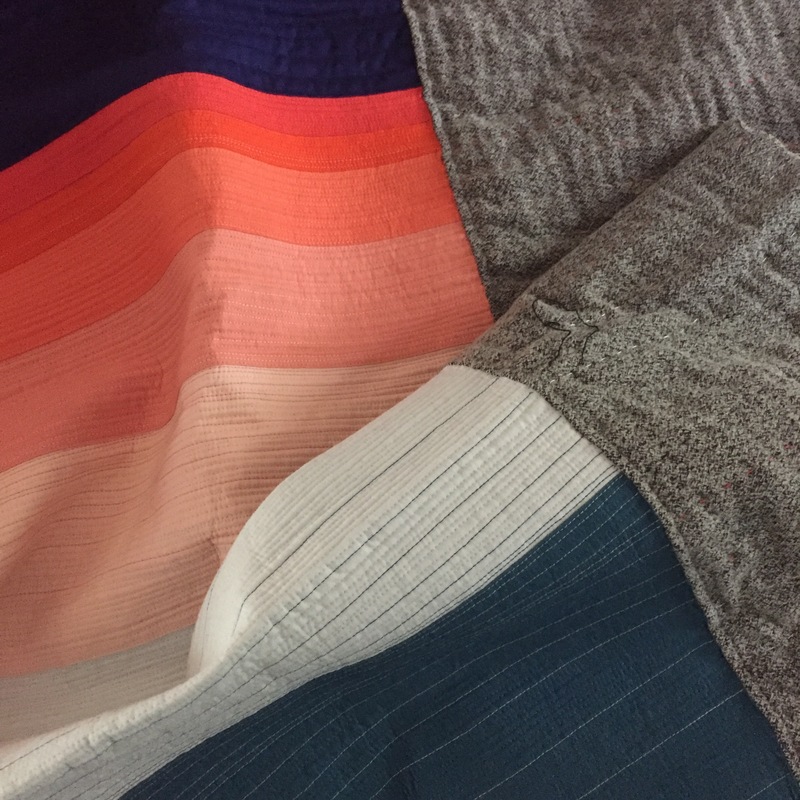 I went to a fantastic local show in Montclair that was part of a collaboration between the Nubian Heritage Quilters and the Montclair Historical Society. 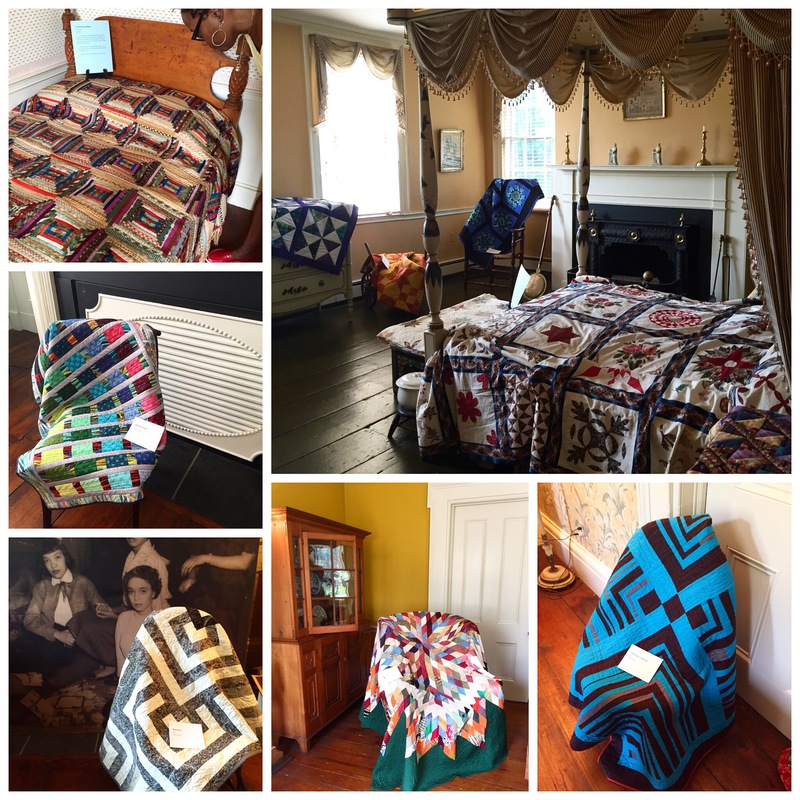 The quilts were displayed draped on furniture throughout the house, which felt authentic and lent an air of storytelling. Each room had one or two antique quilts and several contemporary ones that updated the traditional design of the antique quilt. 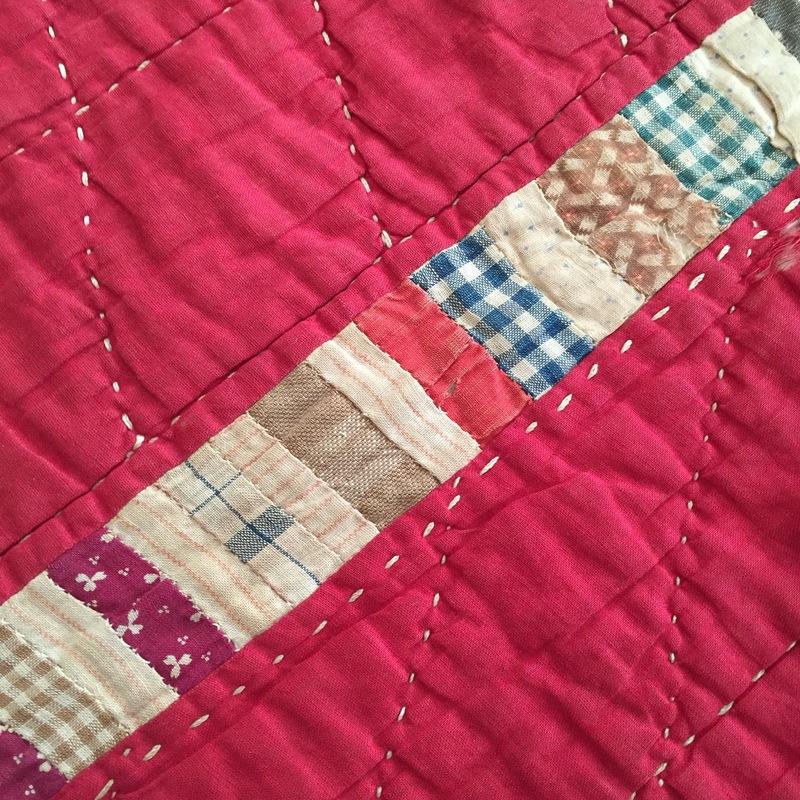 This hand-stitched stacked coins quilt from the 1800s was completely inspiring to me. On the teaching front, I’ll be doing a creative walking foot workshop with the Central Jersey MQG on Saturday October 20. Details are here, and registration is open to people who are not members of CJMQG. 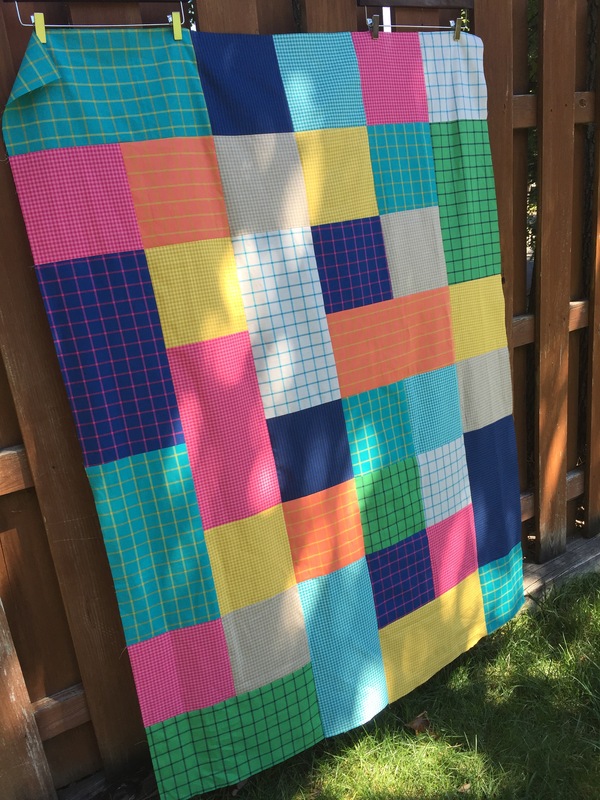 In a lovely coincidence, I got to see one of my students’ work using what she learned in my walking foot workshop last summer at the Nubian Quilters’ show! 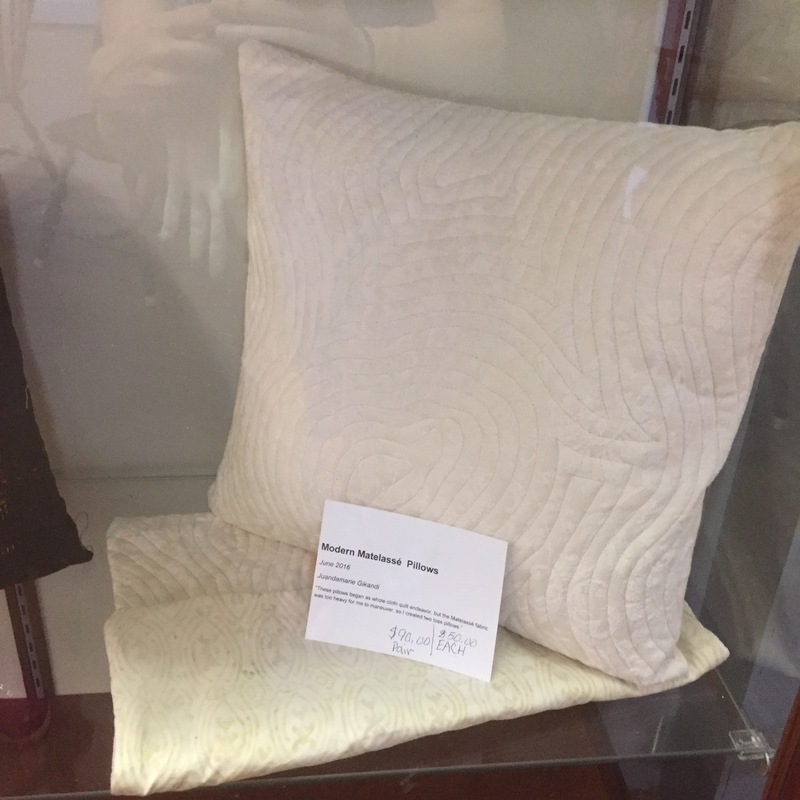 This is Juanda Gikandi’s elegant pillow. I’ve had a fantastic summer of books too. I read Brown Girl Dreaming by Jaqueline Woodson and Imagine Me Gone by Adam Haslett, both of which I enthusiastically recommend. As a family, we read The Mouse and the Motorcycle, The Lion, the Witch and the Wardrobe and just started Harry Potter and the Goblet of Fire. And on social media, I’ve had a super day today. I’m @melintheattic on IG and Twitter and at facebook.com/melintheatticdotcom if you’d like to see me there before I post again here. I was just wondering yesterday if you’d stopped blogging, great to see a post from you again. 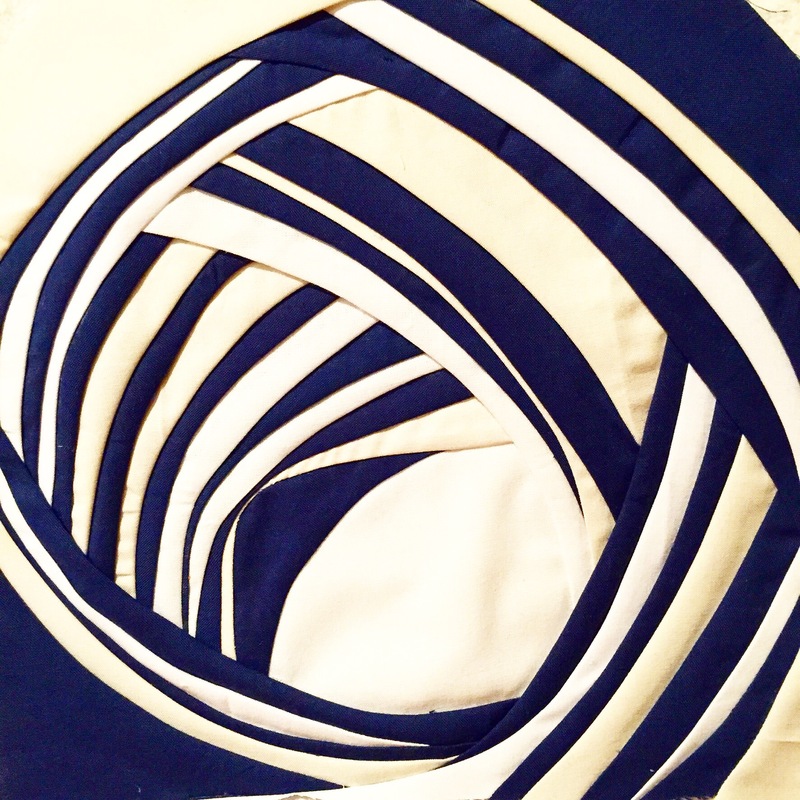 Love the blue and white improv curves, and the next quilt down is gorgeous!